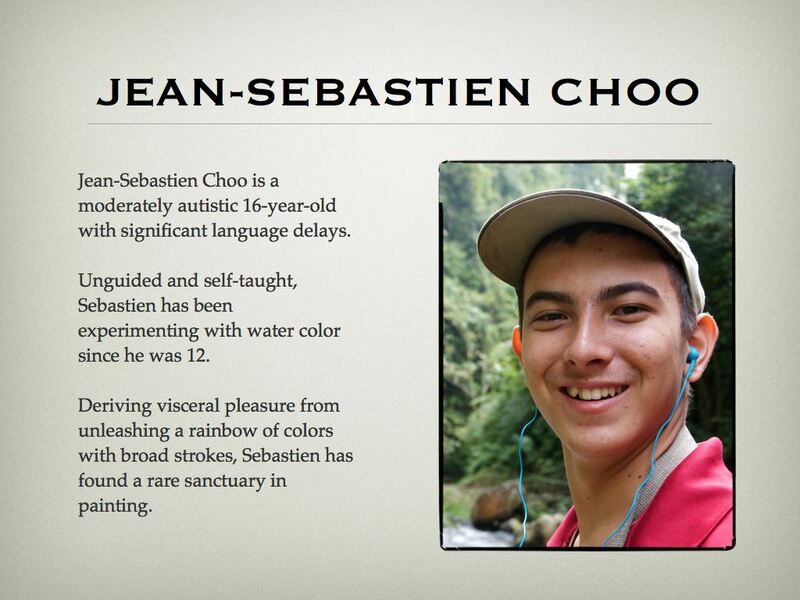 Being the inspiration behind the books, learning aids and workshops, Jean-Sebastien Choo plays a vital role in enabling his mother, Ms. Choo, to generate ever-new ideas and perceptions about individuals with autism through the slow, but steady progress of Sebastien over the years. In particular, the Words, Pictures, Story! (WPS!) writing template was created and modified over the years to facilitate Sebastien's independent completion of his literacy and numeracy tasks. Just as importantly, he is also the driving force that motivates her to pursue her objectives of: a) building his character and skills so that he can be a contributing participant of society in the future; and b) leaving a world behind that could appreciate and cherish Sebastien for the special person that he is. Unguided and self-taught, Sebastien has been experimenting with water color since he was 12. 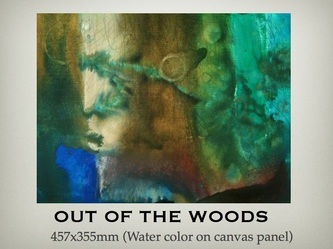 Deriving visceral pleasure from unleashing a rainbow of colors with broad strokes, Sebastien has found a rare sanctuary in painting.